-All 1st quality DIRECT from Kahrs distribution warehouses. Kahrs 20 to 40% off retail !!! The Kährs tradition of quality began more than 140 years ago. 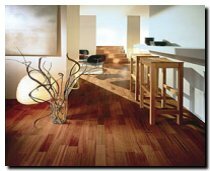 Approximately 80 percent of Kährs flooring is made of hardwood from Sweden, where regeneration is controlled by law. Do you need a thin wood floor? Are you looking for the warmth of real wood at a great value? Then Kährs Linnea may be the correct solution. Precision-made, 7mm thick with a High Density Fiberboard (HDF) middle layer and veneer surface, Linnea is highly durable, naturally beautiful, and wonderfully affordable. Now ideally suited for do-it-yourself with patented Woodloc technology. Don't see the Kahrs product you are looking for? Call 407-925-0917 !! !